Arriving too late to change the course of World War I, the Fokker D-VII was arguably the finest fighter of the war. Designed by Reinhold Platz, the D-VII competed against a number of other designs during a competition held in early 1918 being tested by Baron Manfred von Richtofen and he found the plane simple to fly, steady in a high-speed dive and possessing excellent pilot visibility. Thanks to the support of the famous "Red Baron", the D-VII was ordered into mass production as Germany's premier front line fighter. 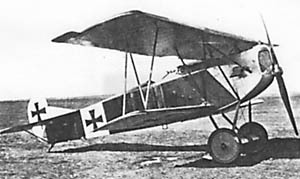 Fokker was unable to produce D-VIIs fast enough, so the Albatross and the Allegemeine Elektizitats Gessellshaft (A.E.G.) 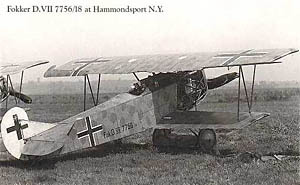 companies also produced the D-VII. When World War I ended in November 1918, these three companies had built more than 1,700 D-VIIs. 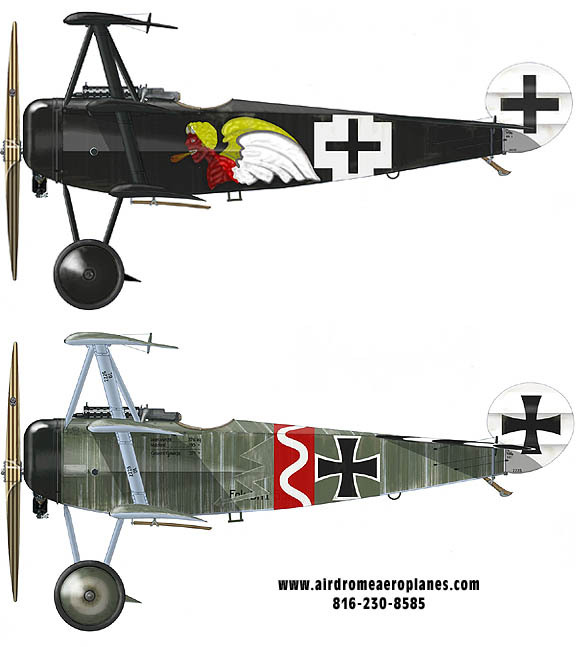 German pilots who flew combat in the D-VII loved the plane's high rate of climb and excellent handling characteristics. They also enjoyed the fact that the D-VII's service ceiling was higher than most Allied fighter planes. This advantage allowed D-VII pilots to build up speed and energy during a diving attack, giving them the luxury of being able to pick and choose their targets. 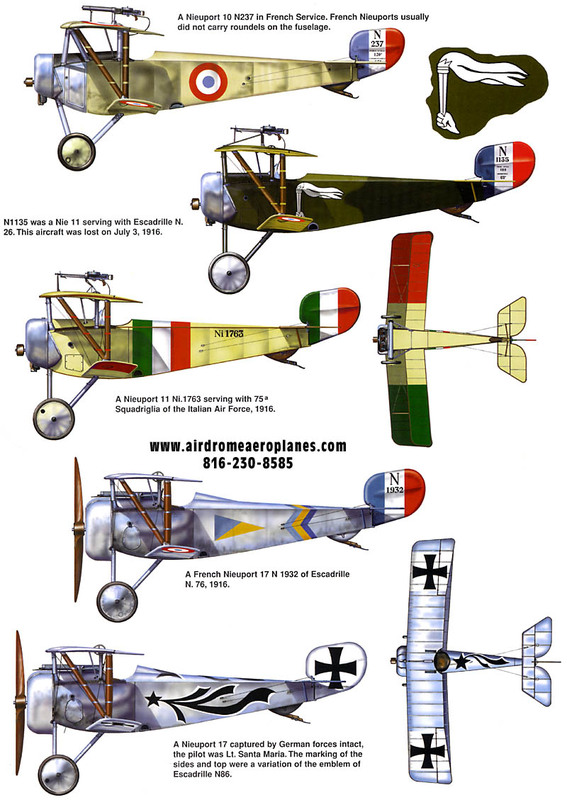 In August 1918, Fokker D-VII's destroyed 565 Allied aircraft � making the D-VII one of the most feared aircraft of the war. 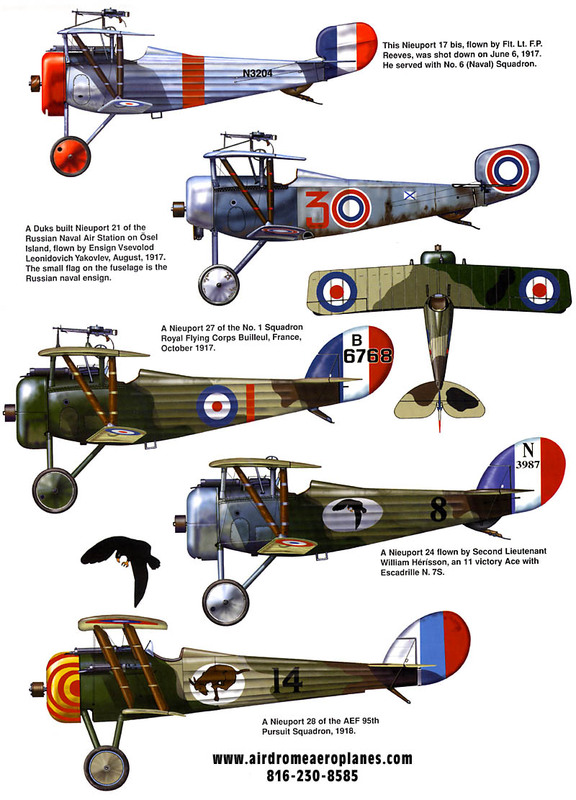 After the war, the victorious Allies specified in the armistice that the Germans hand over all remaining examples of the D-VII. 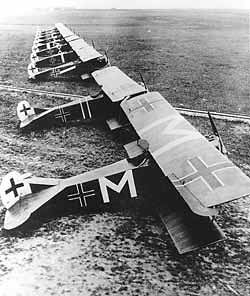 However, about 120 examples of the type were smuggled into Holland where Fokker set up shop and continued to produce aircraft. The U.S. Army brought 142 D-VIIs back to the United States and used them as Air Service trainers for many years. 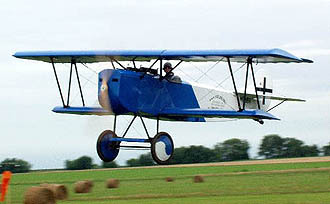 Twelve D-VIIs were transferred to the U.S. Navy, and the U.S. Marine Corps operated six of these aircraft until 1924. As a result the D-VII influenced the design of several later U.S. Navy fighters, including the Boeing FB-1, which entered service in 1925. Additionally, the Swiss operated a number of D-VIIs well into the 1930s. All aluminum tubing to complete fuselage, wings, landing gear, cabines, lift struts, and formers. All aluminum sheet metal to construct gussets, cowling, & seat. All machined parts for control systems, lift struts, axles, and wings. All AN hardware to build aircraft, eye bolts, locknuts, thimbles, nico press swedges , aircraft cable (rudder cables, drag/anti/drag braces). Ball bearing rod ends for control system. Stainless steel pop rivets. Main wheels, tail wheel, spun aluminum nose bowl, plans and builders video. All covering supplies through silver. Deluxe kit consists of complete airframe kit plus engine mount and fuel tank. Also available are spun aluminum wheel covers. Includes materials to construct rudder spar, rudder bow, ribs, gussets, control horn, wooden dowel rods, hinges, rivets, AN hardware and plans. This kit consists of materials to construct fuselage ladder truss, gussets, inner sleeves, machine parts, rivets, AN hardware, hinges and plans. Fuselage just be constructed prior to proceeding with the other kits. Approximate construction time: 48 hours. This kit consists of materials to construct spars, Elevator bow, horizontal frame, ribs, gussets, rivets, wooden dowel rods, hinges, inner sleeves, An hardware and plans. Approximate building time: 9 hours. Consists of materials required to construct gear legs, gussets, axle, main wheels, bearings, machined parts, bracing cables, nico press swedges, tangs, An hardware, tail wheel, bungee cord, and plans. Approximate building time: 14 hours. Consists of materials to construct spars, compression struts, inner sleeves, machined parts, ribs, top bow, hinges, drag/anti-drag cables, nico press swedges, thimbles, tangs, gussets, rivets, An hardware, wooden dowel rods and plans. Approximate construction time: 80 hours. Consists of materials to construct lift struts, Cabanes, all machined lift forks, ovalized tubing, gussets, An hardware, wooden dowel rods and plans. Approximate construction time: 80 hours. Consists of materials to construct firewall, sheet metal for seat, tubing for formers, wooden dowel rods, rivets, front deck, instrument panel, turtle deck former. Approximate construction time: 16 hours. Consists of materials required to cover aircraft, ceconite poly tak, poly brush, poly spray, reinforcing tape, rivets, finishing tapes. Approximate building time: 100 hours. Fuel tank comes welded with supplies to install sight gauge. Engine mount comes welded after airframe has been completed, covered and painted. Builder must supply accurate weight of airframe for engine mount construction. Kit consists of spun aluminum nose bowl and sheet metal for wrap around. 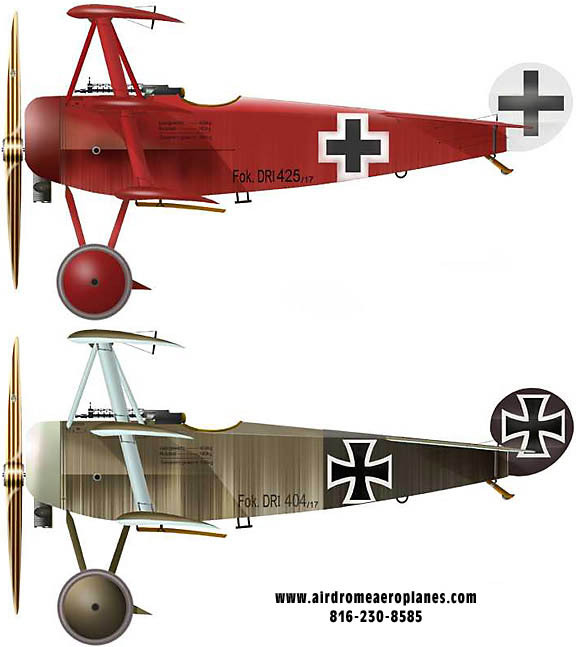 The Airdrome Airplanes 80% scale FOKKER D-VII can be constructed using normal hand tools consisting of hacksaw, hand drill, file, pop rivet gun, wrenches, and hand nico press tool. Area required for construction should be approximate the size of a single car garage.